Cairo-based Eventtus that sells different event management solutions to organizers has raised $2 million in Series A funding from Egypt’s leading VC, Algebra Ventures and 500 Startups. This takes the total invesmtnet raised by Eventtus to $2.65 million. They have previously raised $450,000 from Raed Ventures and MEVP in 2016, and $175,000 in its first external funding round by Cairo Angels and Vodafone Ventures in 2013. 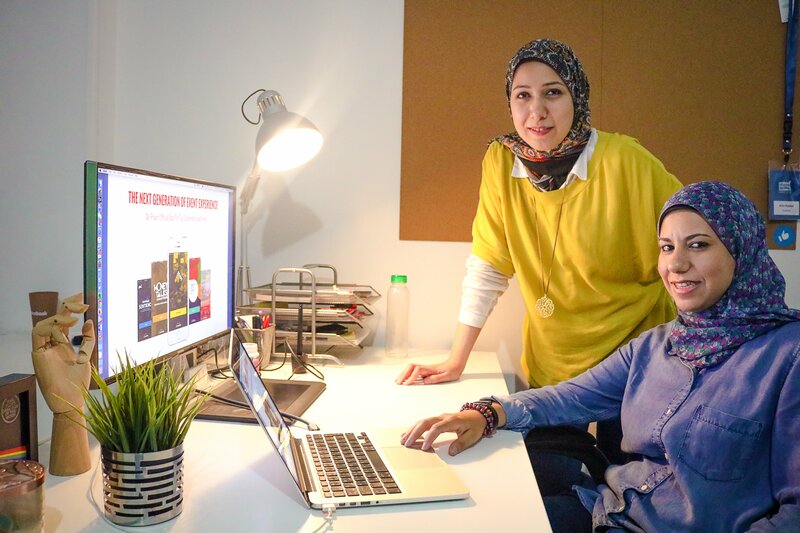 Co-founded in 2012 by Mai Medhat and Nihal Fares, Eventtus sells all-in-one solutions to manage events which includes ticket sales, event management and networking, and branded mobile apps. Their solutions have been used in more than 9,000 events across 15 countries. Some of the biggest event companies and organizers of MENA are among Eventtus’ clients, including Dubai Expo 2020, STEP Group, ArabNet, Informa, Sheraa, and Emirates Foundation. Eventtus plans to use the investment to further expand into the region and introduce different new product to compete at global level. Their team is currently working on an AI feature that will help attendees at events connect with relevant people. The feature will be based on a machine learning algorithm which will learn user behavior with every interaction to offer better recommendations in the future. Eventtus has also rolled out a live Q&A feature recently that let’s attendees at any event ask questions using the event app, which makes the whole process of Q&A very easy and effective. Algebra Ventures had earlier this year invested $1.5 million in Egyptian FoodTech startup Elmenus and 500 Startups has been one of the most active VCs in the region this year in terms of no. of deals. Featured image via Entrepreneur ME.